Please note that different terms, including prices, delivery charges, delivery times and returns policies, may apply to purchases made in store. After you submit an order we will give you an Order Reference Number and details of the products you have ordered. We will send the same details to you in an email acknowledging receipt of your order (Order pending). We will then send a further email when we start to process your order (Order Processing). Please note that these emails are both acknowledgements, not acceptance of your order. Acceptance of your order and the creation of a legally binding contract between us will only occur when we send you an email confirming your order (Order Completed). This will contain details of how your products will be delivered to you. Alternatively, we may decline all or part of your order for any reason, in which case our Order Confirmation email will tell you so. All prices and charges on this site are in UK pounds. They exclude VAT and delivery charges. For details see ‘Delivery ’ below. The total cost of your order will be the price of the products you order, the applicable delivery charge. 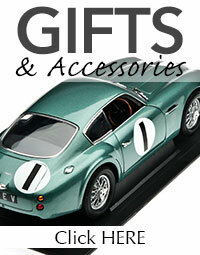 All these will be set out clearly in your Shopping Basket before you submit your order. We try very hard to ensure that all information on this site is accurate. However, just occasionally, an error can occur. If we discover an error in the price or description of a product you have ordered, we will contact you to ask whether you wish to continue with your order or cancel it. to see returns procedure please visit our returns policy page. Delivery can be made to most countries worldwide,however if your country does not appear in the list please contact us and we can try to arrange a delivery option for you. We make every effort to keep our delivery charges as low as possible.These charges are calculated on size and weight of product once packed ready for despatch and also vary depending on country to be delivered to.The applicable standard delivery charge is shown on the submit order page . You will always be able to see all applicable charges before submitting your order. For certain goods we will specify an “expected delivery date” if there is to be a known delay in obtaining the item(s) for you. In all other cases set out below, delivery times are calculated in working days i.e. Monday to Friday inclusive but excluding Bank Holidays. If you order after 3pm, please calculate your delivery time as if your order had been placed the following working day. For delivery on the next weekday (if available), please order before 10am. Standard postal and courier deliveries should arrive within 5 working days of placing your order (uk). To avoid disappointment, please allow a little extra time during busy sales periods. If we are sending your product by courier, our Order Confirmation email to you will contain a link to the courier's website, and a parcel number, so that you can track your order right to your doorstep(uk only). Standard courier deliveries are usually made between 9am and 5pm(uk). All deliveries must be signed for. If you are out when the courier arrives, the courier will leave a card with a contact number for you to call. 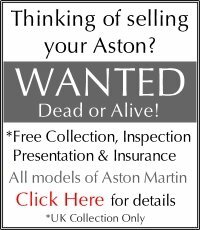 These terms and conditions only cover the Aston Workshop website. Any other websites to which you link from this site are governed by their own terms and conditions. We accept no responsibility or liability for the content or operation of websites which are not under our control. We are required by law to tell you that sales can be concluded in English only and that no public filing requirements apply.